Luxury Lodges is a collection of UK resorts that offers luxurious, self-catering accommodation in beautiful surroundings. In late 2017, following an extensive refurbishment across several of their resorts, Luxury Lodges underwent a rebrand to showcase their new, higher level offering and target new audiences. As part of the rebrand, Journey was tasked with developing and implementing a new social media strategy. 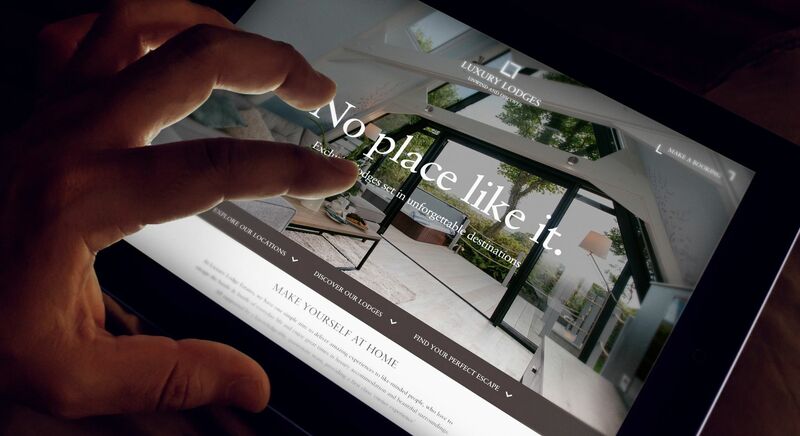 The goal was to increase awareness of the new Luxury Lodges brand across new and existing audiences and grow an engaged social media following. There were already Facebook, Twitter, and Instagram profiles in use for the Luxury Lodges group, however, the followings across each of the channels were minimal. Much of the social media activity was ad hoc and, while there were several on-resort representatives responsible for posting content, the in-house team didn’t have previous experience in managing social media accounts, nor the time to spend on growing their following. Armed with new imagery, a new tone of voice, and a clear vision of what we wanted to achieve, we set about putting a new strategy in place. We developed specific KPIs for each channel, conducted profile health checks, and hosted training workshops with the Luxury Lodges team. In addition to creating and scheduling content that was tailored to each channel, we followed relevant users and businesses and, over time, monitored progress to refine our approach. We also launched a competition to win a short stay in The Treehouse – one of the most exclusive properties in the Luxury Lodges portfolio. During the competition’s 2-week duration, the Instagram following increased by 2,270. In 14 months, Luxury Lodges increased their Facebook following by 2,156%, increased their Instagram following by 1,847%, and saw their Twitter following grow by 4,786%. In one particular month, they were able to attribute 6.43% of their total website traffic to Instagram, and have seen Facebook post engagement rates as high as 16% (industry average in 2018 – 0.21%). In this time, they’ve also been able to attribute at least 165 bookings to organic social media. This data is based on the total number of users that, according to Google Analytics, encountered organic Facebook, Twitter, or Instagram somewhere along their booking journey. It doesn’t include those who may have engaged with the Luxury Lodges social media channels before going back to complete their booking at a later date, and so the actual number of bookings that can be attributed to social media is likely to be much higher.